With the Tsunami coming in January 2018 in the regulation environment most asset managers in Europe admit they will not be ready to meet MIFID 2 and PRIIPS requirements. The Directive 2014/65/EU about MIFID 2 regulation came into effect on 2 July 2014 but it does not apply the rules until January 2018 so 3 years and half after. The Directive was updated to deal with what the European Commission has said were “areas needing reinforcement or revision “. These areas included introducing a market structure framework, to ensure that trading takes place on regular platforms with best execution requirements, to increase equity market transparency, to strengthen supervisory powers in the wake of the G20 commitment, to improve levels of competition in the trading and clearing of financial instruments, to introduce controls for algorithmic trading and to provide stronger investor protection. 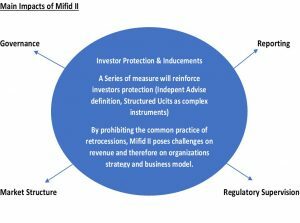 MIFID 2 affects the whole eco-system of the financial industry from the product governance and research to the fund distribution and trading. One of the main issue regarding the MIFID 2 regulation is the best execution requirements. Most asset managers need to provide more granular detail to their policies, with important changes to trading workflow including investments in technology to ensure a more systematic approach to best execution. In addition, firms are starting to move from transaction cost analysis (TCA) to full implementation of best execution analysis, allowing trading desks to better understand and measure the full context of larger orders, as well as better analyze high touch and fixed income trading. Best execution is now the creation and implementation of a process that enables the trader to be in possession of as much valuable information as possible, throughout the lifecycle of a trade. Most of the asset managers acknowledge they still have more to do to move policies from a best-efforts and informal process to a firm-wide systematic execution process. Asset managers are also now reviewing new liquidity providers outside of their traditional broker relationships and planning to adjust their broker lists ahead of 2018. The OTC market will be badly impacted with best execution requirements as it will force asset managers and brokers to set up request for proposals procedures to trade OTC products and this will lead in the context of the EMIR directive to an important reduction of this market. One other specific point in relation to MiFID II is about governance product; manufacturers/asset managers/distributors are required to define ‘target markets’ for each of their funds. The target market must ensure that the product ends up with the type of customers for whose needs, characteristics and objectives it has been designed. Small and mid-sized asset managers often may not have the internal resources to properly identify the target markets of their various products. Some have their doubts about how to do this at present and are worried they may not be able to fulfil these new requirements in time. Each EU Member State may have its own definition of target market, which adds to the complexity. This is a challenge for both the product manufacturer/asset manager and the distributor. Both will need to determine the appropriate strategy for defining target markets. It must then be produced and shared across the distribution chain. Both parties have to put in place new communication, governance and co-operation arrangements to make sure the relevant information is shared. This is particularly the case if a fund is in breach of the target market rules and is therefore mis‑sold. 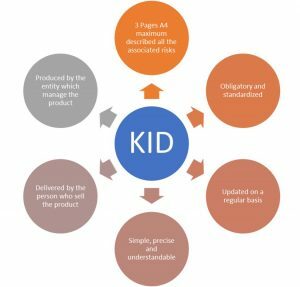 There will be a reinforcement of the link between the product manufacturer/asset manager and the distributor, given the latter will have to take responsibility to ensure the general consistency of the products that are going to be offered and the related services that will be provided with the needs, characteristics and objectives of target clients. Last point about MIFID 2 are the research unbundling and retrocession issues. The decisions of few asset managers to make clients pay the cost of research could be reversed because absorbing this cost has become a competitive edge. The costs of research are leading to a strange outcome with some local banks decisions to stop producing research notes. We are heading towards a model in which research providers will be solely global. 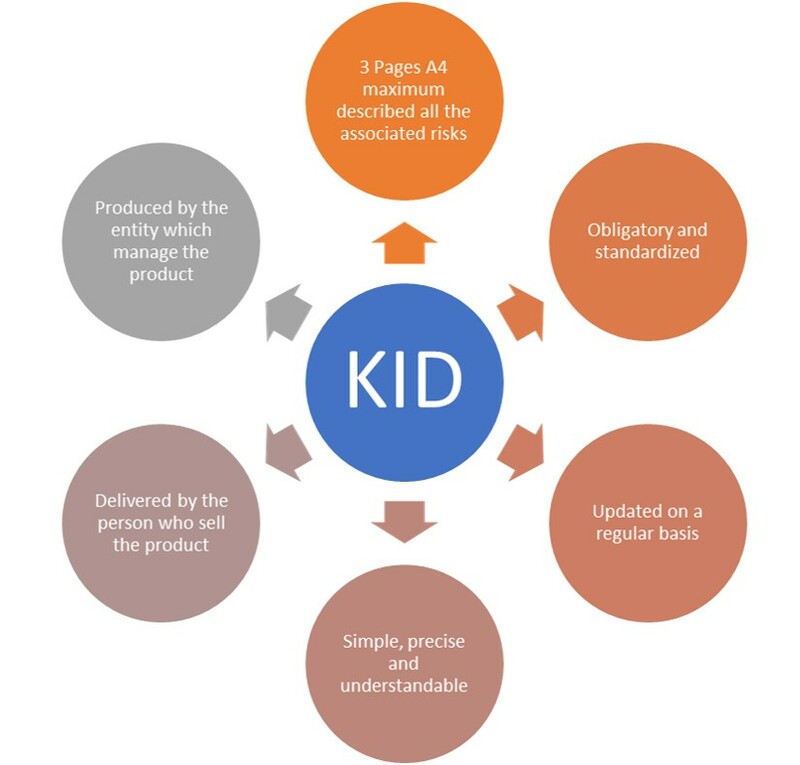 Starting on 1 January 2018, European and non-European entities or persons producing or selling packaged retail investment and insurance-based products (so-called PRIIPs) to retail investors in Europe, will be required under the PRIIPs Regulation to produce a key information document (PRIIPs KID). Under MIFID 2 and PRIIPS regulations asset managers are committed to providing data within the industry standard EMT and EPT and have started their projects to organize the distribution of key information along their distributions channels. In addition, under the PRIIPs Regulation, a Key Information Document will need to be produced (building upon the pre-existing UCITS Key Investor Information Document). This document will have to be provided to European retail investors either directly or through financial intermediaries. More specifically asset managers will have to provide new risks indicators based on VAR calculations and also new types of scenario adopting a forward looking approach (unlike the current past approach Ucits KID report). They will have also to give full transparency of their costs and to breakdown their fees; one specific point is about transaction costs. Asset managers will have to provide forecasts of their coming transaction costs for each portfolio over the year and reconcile the data at the end of the year. These forecasts will be based on assumptions about volumetry of transactions and proxy for each asset class based on the bid ask spreads. Fund managers may struggle in amassing the correct data as it often comes from a multitude of external and internal sources. A failure to present distributors with data could hamper the sales process and expose distributors to both regulatory and legal challenges if it means that end investors are left without adequate information when the new rules come in. As a result, this could lead distributors to having to remove certain products from their sales offering. In conclusion most of the asset managers will not be ready by January 2018 to comply with MIFID 2 and PRIIPS regulations and are hoping to have a transitory period in 2018. The European Securities and Markets Authority (ESMA) has gone to some length to address these complexities, particularly through its questions and answers (Q&A) of June and August of this year, which provide guidance on the interdependencies between MiFID II and PRIIPS. Asset managers are facing a difficult time with the new regulatory environment and with the continuous pressure of their clients to reduce their management fees. They will have to adapt themselves quickly either by changing their operating models or through partnerships or mergers with some of their competitors.